This page contains details of all Churches and church related organisations that we know of in Bollington and Pott Shrigley. If yours is not listed please send details to the webmaster. 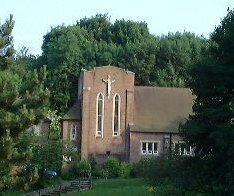 Since Michaelmas 2009 what was three Anglican congregations have been merged into one, based at the Parish Church of St Oswald (below). The Vicar is the Revd. Canon Veronica Hydon. The Anglican Church in Bollington is very much alive, writes Canon Veronica Hydon, and especially looks forward to welcoming newcomers of all ages at our main Sunday Service at 10.30am at St Oswald’s Church. We have a small play area set aside in church for the use of young children and their parents/carers during all our services. The main Sunday Service remains a Parish Communion at 10.30am, followed by coffee/tea/juice/sherry and occasionally cake! On the first Sunday of the month, there is now a relaxed 10.30am Family Service (which normally doesn’t include Holy Communion) at which children and adults of all ages are welcome! There is a short said service of Holy Communion on those first Sundays at 9am. We also hold a weekday service of Holy Communion on Thursdays at 9.30am, after which the church remains open for refreshments, chat, visiting or private prayer from 10am till 11.30am. Everyone welcome! On Wednesdays throughout the year, St Oswald’s is normally open between 8.30am and 4.30pm for people to call in for quiet reflection. For further news of services and events, please see our website . The web site includes a Family Research section, with many of our baptism, marriage and burial registers as well as memorial inscriptions – all searchable by name. This is also the home of the Bollington Online War Memorial , which includes potted histories and many photographs of local men who served in WW1 and casualties of both World Wars (this has recently been extensively updated and more features will be added over the coming months). Although some of these records can be found on other websites, nowhere else is such extensive coverage available for Bollington! And it’s free to use, although we would be grateful for donations from those who find the search facilities useful. 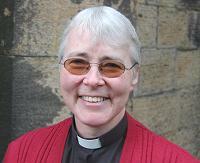 The history of the Anglican Church in Bollington is covered in the book by the Revd. R Norton Betts, Bollington Through the Centuries, available from the Discovery Centre . A modern history of St Oswald’s Church, St Oswald’s Church, Bollington – the First 100 Years, has been written by Chris Ward and is available from the church and the Discovery Centre . This delightful church is located in the centre of Pott Shrigley, and has 13th century origins. Many Bollington families worship here and many more are buried in the churchyard. The history of the Catholic church in Bollington is provided on another page. Services at Shrigley Court, Sunday Evenings 6.00 pm – please phone for details. Holy Communion, third Sunday in the month. The Methodist church in Bollington has closed but before doing so it celebrated its 200 year anniversary in May 2008. Details are available on the Methodist history page. Services are held each Sunday at 11.00am. The Cyber Hymnal . Thousands of Christian hymns and Gospel songs from many denominations — lyrics, MIDI files, scores, pictures, history and more. Searchable, advanced Autoplay feature, free downloads. New entries every week. User friendly. Claims to be the biggest site of its kind on the internet.